Thank you for allowing me to join this group. I am new bereaved, having lost one of my siblings in the most horrific way, and having to face an inquest, which is scaring me. I received the news via phone, the news was given in a very matter of fact way which I am angry about. There have been so many times, when I have broken down in front of complete strangers or so called friends, who tell you to think positive and get over it. 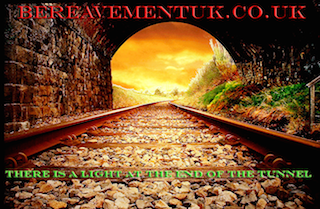 No one seems to listen or understand what I am going through, all the practicalities, funeral, next the sorting things in the house, and then an inquest. I am on complete overload and really struggling today, I have got through some of it, feeling completely numb and disconnected, and at other times, feeling like my heart has been completely ripped out, angry at everyone and everything and today, extremely depressed. Is this normal or am I going mad? I cannot carry on like this. Thanks for reading. Easy for them to say having not suffered a painful loss themselves. You'll get lots of support from people here who understand, and may I offer you my heartfelt condolences. Take care and please keep posting however small or large you can manage, we need them. Hello pink Roses sorry for your loss. Its awful that people are so numb to empathy and like you say they haven't suffered this situation. I've been angry but I try and use it to drive me for my dads loss and lack of care from medical so called professionals. Don't give up please. You'll have good days and awful days it's a life changer. Do All you can for answers in your loss and ignore the negative ones. Karma will get them. Be strong and may you find the strength speaking about things. Like any situation you will k know who your friends are there for YOU. people cant understand unless they have been through grief themselves and often dont know what to say so end up saying something upsetting or cliched - plus perhaps we are over sensative sometimes - i once fled a shop after losing my husband after hearing two women saying how they had escaped theirs to go shopping as they just get in the way - i was so angry and just wanted to shout at them - but they didnt realise what they were saying and when i look back i realised it wasnt something i might not have said to a female friend my self while out shopping and without considering how that might affect a third person over hearing. Try not to worry too much about the inquest - it will be upsetting but no more upsetting than what you are having to deal with in losing your sibling -but you are not on trial and the officials do understand how emotional loved ones will be feeling so if you do break down no-one will judge. As Emz says it is a roller coaster journey and some days will be worse than others especially in the earlier days of grief and all the feelings you describe are common in grief - are you Normal ? there is no normal, people grief differently from each other, even for the same person in the same relationship too them - so your other siblings for example may experience things differently to you, but it is normal to experience such a sway of emotions and the point really is not whether you are normal but whether what is happening is wrong - and it isnt - there is no wrong or right way to grieve. That doesnt mean i havent questioned my own sanity especially in the first couple of years, on one of the feeling detached days i felt so weird i was wondering whether it was me that had died and was watching people go about their normal day through some kind of veil. I have SAD anyway but losing my husband made that very much worse and longer lasting than before and i also had panic attacks and although they seem to have passed now i am generally much more anxious then i was - but it is a case really of coming to accept that i have changed as a result, and accepting those changes in myself and it all takes time.